Star Wars is one of the hottest film properties around today. No two ways about it. Thus, when it was announced that outside of the main series of films there would be spinoff movies, die hard Star Wars fans went ballistic with happiness. For the first time, the universe would be expanded and we would get to witness other happenings in the world of Star Wars. This would be great fodder for fans who speculated for years about the background of certain characters and how certain incidents contributed to the happenings in the main film series. The first chapter in this series was Rogue One: A Star Wars Story, which was a resounding success. Shortly, the next spinoff, Solo: A Star Wars Story, was announced, raising more eyebrows than excitement. This was to be an origin story for an iconic character, Han Solo (immortalized by Harrison Ford in the original trilogy), but this led to more questions than probably what Lucasfilm anticipated. Would anyone be able to carry off the role of young Han with the same charm as Harrison Ford? Is this film even necessary? Would this be as dark and brooding as Rogue One? However, as soon as Mr. Ron Howard, one of the finest filmmakers in the country, was hired to helm the film and bring it back on course, I felt absolutely at ease. Here was a director who understood how to bring novelty to a film, yet retain the essence of what fans like, a crucial component for every Star Wars “origin” movie. Moreover, I was impressed with Lucasfilm’s desire to make a good film, to the extent that they would replace a director midway to make sure the film does justice to its material. Does the film ultimately deliver? Let’s find out (my review will be spoiler free). Solo, in a nutshell, sheds light on Han Solo (Alden Ehrenreich) in his younger days. 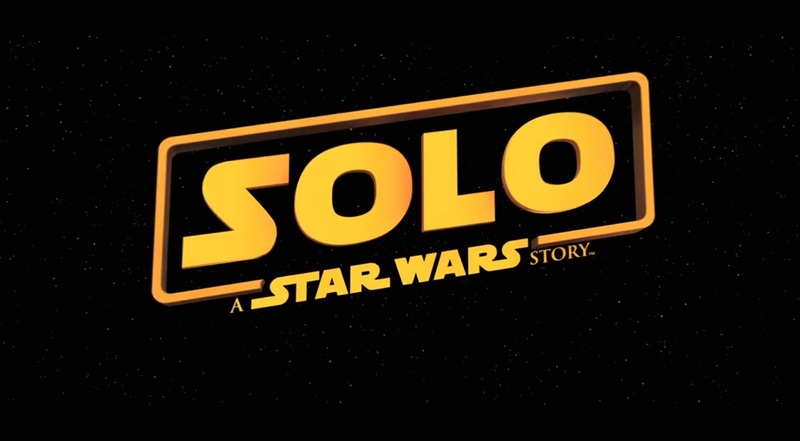 How he falls in love with a woman named Kira (Emilia Clarke), how he becomes friends with smuggler Lando Calrissian (Donald Glover), how he meets Chewbacca, how he gains a mentor (Woody Harrelson) while also dealing with the turmoil in the galaxy at that particular time forms the crux of the movie. Performance wise, Alden Ehrenreich puts forth a very likable, charming performance as Han Solo. At many instances, his mannerisms perfectly resemble Harrison Ford, and I certainly did not even think about Harrison Ford’s portrayal during the movie as Alden’s performance was very strong. Donald Glover as Lando is in the movie all too briefly, but gosh does he pull off Billy Dee Williams’ voice. It is incredible how he did that! He steals the show with his performance. Emilia Clarke is wonderful as always and adds the emotional dimension that the film needed to have (albeit more strongly). What can I say about the legendary Woody Harrelson. The guy is perfect as Tobias Beckett. And last but not least, Paul Bettany plays the suave villain Dryden Vos with aplomb. The casting fits the movie like a glove, so any concerns anyone has about casting is baseless. In terms of the script of the movie, Lawrence Kasdan and Jonathan Kasdan have written a truly fun adventure film. Combined with Ron Howard’s stellar direction, the movie is relentless with its glorious action pieces and reminds you of the fun feeling that the original Star Wars trilogy and Indiana Jones films had. Particularly, the sequences for the train robbery and Millennium Falcon maelstrom escape are why fans love these movies. No darkness, no melancholy, no angst ridden, violent pieces. Just pure and good spirited action that can be watched with the whole family. However, I do have some criticisms as well for the film. The editing could have been a bit more tight. A few times the film drags, and I think it could have been shortened by at least 15-20 minutes. In terms of the writing, the biggest flaw is that characters do not have depth. Han, although a fun character, seems less cocky than the original trilogy. In fact, he seems more righteous. Maybe, as more sequels are planned, Han will become tougher, but here he is portrayed as a lot more idealistic than what fans may remember. The emotional elements of the movie do not quite draw out, so motivations for characters often times do not make sense. The question of why characters are the way they are is never answered. Again I hope that this will be looked at in the sequels. But these are not distracting criticisms. The movie may not add a whole lot to the Star Wars canon, but it can be enjoyed thoroughly. It is fun, harmless, light, edge of your seat popcorn entertainment, the type of movie so needed in today’s crazy world. Sometimes there is a need to see a film that just entertains you, which you can kick back and watch without any worries and have a great time. Solo does just that. You may not carry anything back with you after the movie, but I guarantee that you will be very happy leaving the theater. All in all I give it a 3.5/5. Go with your family, have a good time and support this movie so that Han can “shoot first” to the top of the box office this weekend.